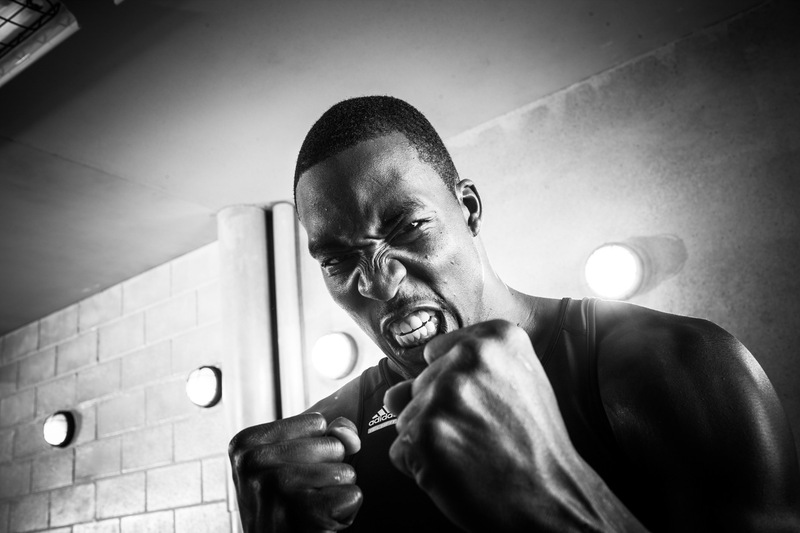 NBA player Dwight Howard, photographed when he played for Orlando Magic for Adidas professional athlete sponsorship. This guy is all emotion, as real as it gets. adidas sports portrait photographer Andy Batt captured this dramatic moment on a stage in Culver City.